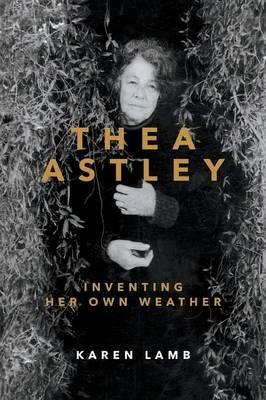 Thea Astley: Inventing Her Own Weather is the long-overdue biography of Australian author Thea Astley (1925–2004). Over a fifty-year writing career, Astley published more than a dozen novels and short story collections, including The Acolyte, The Slow Natives and, finally, Drylands in 1999. She was the first person to win multiple Miles Franklin awards – she won four. With many of her works published internationally, Astley was a trailblazer for women writers. In her personal life, she was renowned for her dry wit, eccentricity and compassion.